Matthew Mcconaughey. Jenna Elfman. Woody Harrelson. Elizabeth Hurley. 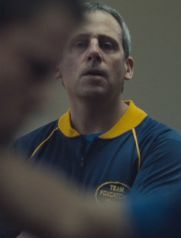 Steve Carell. Channing Tatum. Mark Ruffalo. Anthony Michael Hall. Sienna Miller. Vanessa Redgrave. 1980s. Drama. Recommended. Comedy. True Stories. Drugs Related. Sport. 01 Nigel's Choice. Recommended. When wealthy John du Pont invites Olympic wrestler Mark Schultz to move to his estate and help form a wrestling team for the 1988 Seoul Olympics, Mark sees a way to step out of the shadow of his charismatic and revered brother, Dave and instantly accepts his offer. However, du Pont is a deeply troubled and obsessive man and it is not long before the two find themselves on a dark path where tragedy rather than victory will be the result.